Postdoc Edward Wallace, the lead author on the study, says halting the production of most other proteins may protect newly synthesized ones. Before they have folded into their mature shapes, new proteins are more susceptible to heat shock—and may still be degraded following stress. “We speculate that [the aggregated complexes] are remodeling protein synthesis, stopping the majority of new proteins from being made, and thus preventing the aggregation of these newly synthesized proteins,” says Wallace. Editor’s Note (December 2): The sub-headline for this article was changed to emphasize the finding that most proteins regain functionality. Heat causes protein misfolding and aggregation and, in eukaryotic cells, triggers aggregation of proteins and RNA into stress granules. We have carried out extensive proteomic studies to quantify heat-triggered aggregation and subsequent disaggregation in budding yeast, identifying >170 endogenous proteins aggregating within minutes of heat shock in multiple subcellular compartments. We demonstrate that these aggregated proteins are not misfolded and destined for degradation. Stable-isotope labeling reveals that even severely aggregated endogenous proteins are disaggregated without degradation during recovery from shock, contrasting with the rapid degradation observed for many exogenous thermolabile proteins. Although aggregation likely inactivates many cellular proteins, in the case of a heterotrimeric aminoacyl-tRNA synthetase complex, the aggregated proteins remain active with unaltered fidelity. We propose that most heat-induced aggregation of mature proteins reflects the operation of an adaptive, autoregulatory process of functionally significant aggregate assembly and disassembly that aids cellular adaptation to thermal stress. and degradation. Image courtesy of Broad Communications. 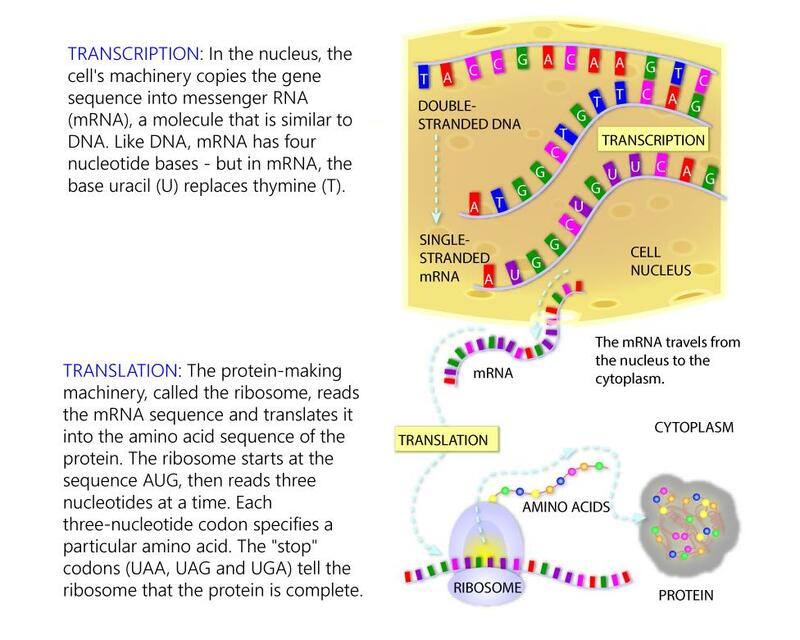 Cellular protein levels are dictated by the net balance of mRNA expression (the type of RNA that provides genetic information for proteins), protein synthesis, and protein degradation. While changes in protein levels are commonly inferred from measuring changes in mRNA levels (due to the difficulties involved in measuring protein levels), it’s not often clear whether determining RNA levels is actually a good proxy for measuring protein levels. In their recent article in the journal Science, Broad Institute researchers working in core member Aviv Regev’s and institute member Nir Hacohen’s laboratories, along with the Broad’s Proteomics Platform led by Steve Carr describe a quantitative genomic model that lets them explain the abundance of proteins in cells based on mRNA expression, translation, and degradation. They performed their study in mouse dendritic cells stimulated with LPS, a component of bacteria. While previous studies had looked at global levels of regulation in rapidly-dividing, unstimulated cells, this work focuses on understanding how much of the change in protein levels is due to a change in mRNA expression, translation, and degradation in specific genes and classes of genes in response to a stimulus – in this case, LPS. For example, would the changes in levels of one class of proteins be mostly driven by changes in the levels of the mRNAs that encode them? On the other hand, would changes in the levels of other groups of proteins occur without changes in mRNA, but rather due to faster translation or slower degradation of the protein? These were the type of questions the scientists were interested in. In this way, the team was able to robustly build a dynamic model in which the mRNA synthesis rate, the translation rate and the protein degradation rate change over time. Based on this model, it was possible to predict how much of each of the three types of regulation are contributing to the change in the level of each protein and from that measure both globally, per gene class, and per gene, the relative contributions of each type of regulation. Analyzing the LPS-stimulated dendritic cells, the researchers found that overall mRNA expression dominates the regulation strategies, accounting for up to 90% of the fold changes in protein level variation. This is a significant increase from their pre-stimulation measurements showing regulation of mRNA expression contributing 60-70%, translation 15-25%, and degradation also 10-20%. What appeared to be regulated more substantially by the protein lifecycle (translation, degradation) were highly expressed genes. And, looking at changes in the number of protein molecules rather than just the relative fold changes in pre- versus post-stimulated cells, what emerges is that post-stimulation, regulation at the level of the protein lifecycle begins to dominate. The findings lead to a model for the LPS-stimulated system in which protein expression associated with functions critical for a dendritic cell-specific functions is taken care of by regulation at the level of RNA expression. 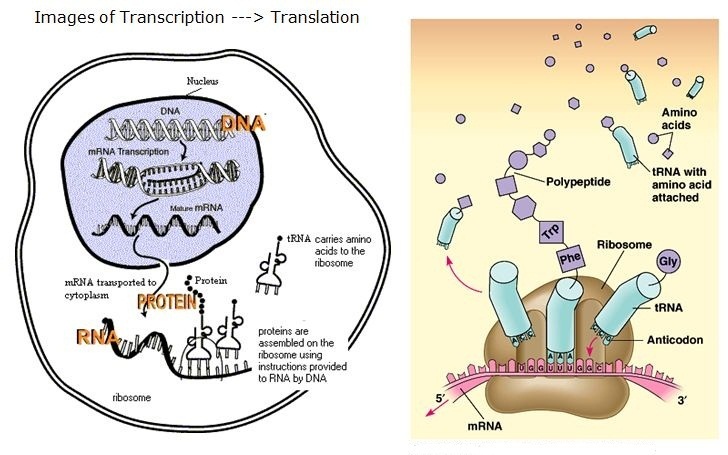 However, the readjustment of the pre-existing proteome when the cells enter a new state (for example, in response to pathogen stimulation) is controlled via regulation of the protein life cycle (translation, degradation) rather than RNA expression. 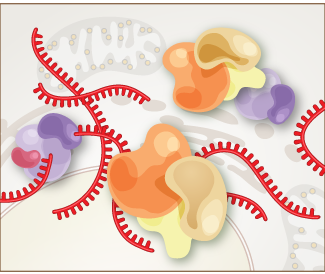 So, mRNA changes drive new cell state identity. Protein lifecycle regulation drives readjustment of preexisting “housekeeping genes” such as those encoding ribosomes and factors involved in metabolism to adjust the cell to its new state. This approach is extensible to test the regulation of gene expression in other perturbed systems as well, and allows researchers for the first time to assess the relative contributions of each of the three levels of protein level regulation – mRNA expression, translation, and degradation – in any perturbed system. At the 6th Cisbio HTRF symposium, “Charting the Course of Drug Discovery” held recently in Brewster, MA, investigators described how homogeneous time-resolved fluorescence (HTRF®) continues to expand and improve upon the repertoire of available bioassay formats for basic research and drug discovery. Participants described applications of these assays as integral components in studies ranging from identification of allosteric modulators as potential drugs to determination of critical components in protein-modifying biochemical pathways as new drug targets. A form of time-resolved fluorescence energy transfer (TR-FRET) technology, HTRF brings together the sensitivity of fluorescence with the homogeneous nature of FRET and the low background of time resolution. As in other FRET systems, HTRF uses two fluorophores—a donor and an acceptor that transfer energy when in close proximity to each other. Excitation of the donor molecule by an energy source such as a laser causes the emission of light waves at donor-specific wave lengths. If the donor and acceptor are not within proximity to each other, the donor is excited but no energy transfer occurs and no acceptor emission occurs. Dual-wavelength detection reduces buffer and media interference, and the final signal is proportional to the extent of product formation. The HTRF assay can be miniaturized into 384- and 1536-well plate formats, which proponents say, can save reagent costs and minimize quantities of limited target and compound material used in the assay. This assay technology has been applied to many antibody-based assays, including GPCR signaling (cAMP and IP-One), kinase, cytokine, biomarker, and bioprocess (antibody and protein production), as well as assays for protein-protein, protein-peptide, and protein-DNA/RNA interactions. Unlike traditional TR-FRET systems that employ fluorophores such as fluorescein and rhodamine that are characterized by immediate and transient emissions, HTRF-specific donors such as europium and terbium cryptate emit relatively long-lived fluorescence upon excitation. Conversely, acceptor molecules rapidly emit fluorescence. Thus, the nonspecific short-lived background fluorescence that occurs in FRET assays can be reduced by introducing a time delay ranging from 50-150 microseconds between the initial donor excitation and measurement. In HTRF, therefore, if the donor and acceptor molecules are not within proximity, only donor emissions are detected following a time delay. Participants at the symposium focused on novel adaptations of HTRF-based assays, as well as their combination with other types of assays, to characterize convoluted disease pathways that may present multiple drug targets for disease therapy, especially neurodegenerative disorders. In particular, several presenters noted its use in addressing what the conference keynote speaker, Terrance Kenakin, Ph.D., of the University of North Carolina, characterized as “The Perfect Storm” of pharmacology, receptor allostery, and biased signaling. Strictly defined, allosteric molecules regulate proteins by binding to the molecule at a site other than the protein’s active site. 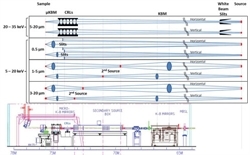 With regard to the seven transmembrane receptors (7TMRs) also known as G protein-coupled receptors, Dr. Kenakin noted that GPCRs comprise the largest class of receptors in the human genome and are common targets for therapeutics. Originally identified as mediators of 7TMR desensitization, β-arrestins (arrestin 2 and arrestin 3), for example, are now recognized as true adaptor proteins that transduce signals to multiple effector pathways. The introduction of molecular dynamics coupled with new assays, including HTRF, he said, opened new vistas for 7TMRs as therapeutic entities. Specifically, probe-dependent allosteric vectors oriented toward the cell cytosol provided fertile ground for new 7TMR drugs in the form of ligand-producing biased signaling. Positive and negative allosteric modulators (PAMs and NAMs) of GPCRs have emerged as a novel and highly desirable class of compounds, particularly in potential treatment for mental disorders, and for metabolic, neurodegenerative, and neuromuscular diseases. Advocates say they offer some distinct advantages over conventional competitive compounds, including the potential for fine-tuning of GPCR signaling and the promise to address formerly intractable targets. Introduced to the market in 2010 for the treatment of secondary hyperparathyroidism in adult patients with chronic kidney disease on dialysis, Cinacalcet, a PAM, activates the calcium-sensing receptor that functions as the principal regulator of parathyroid hormone secretion. Cinacalcet is the first clinically administered allosteric modulator acting on a GPCR, and provided a proof-of-concept for future development of allosteric modulators on other GPCR drug targets..
Hayley Jones and Jeff Jerman, both of Medical Research Council Technology (MRCT) in the U.K., talked about the characterization of novel PAMs for the dopamine 1 receptor. 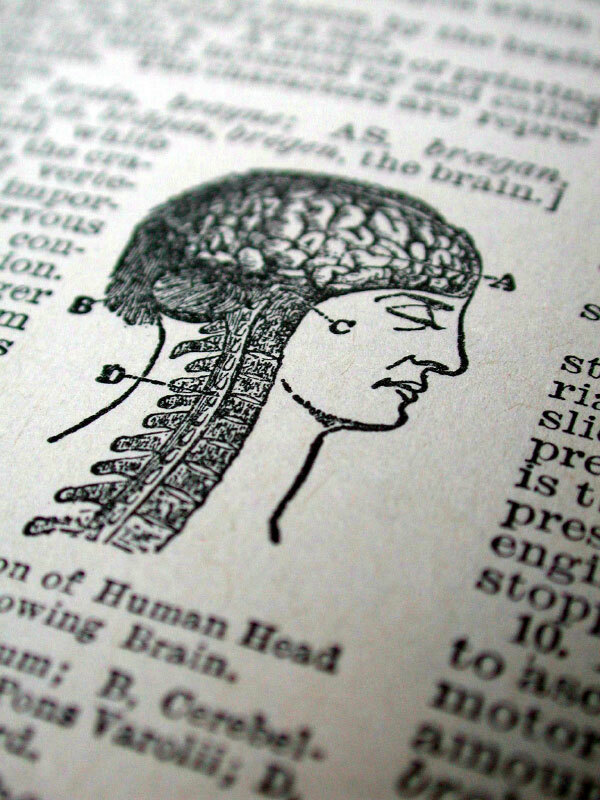 Although preclinical and clinical data have validated this receptor as a target for drugs to improve cognitive impairment in schizophrenia, Jones noted that, to date, attempts to clinically develop agonists have failed. She and her colleagues have approached this problem by targeting D1R via PAM saying that in contrast to “direct” orthosteric D1R agonists, PAMS potentially offer advantages, including physiological spatiotemporal control of dopamine function by enhancing the effect of its endogenous ligand and avoiding over stimulation by self-limiting effects. The investigators said they had configured a cell-based HTRF assay to screen a subset of an MRCT compound library using CHO cells that transiently express the human receptor. Inclusion of a submaximal concentration of dopamine in the assays facilitated simultaneous detection of both PAMs and agonists, allowing them to identify novel D1R activators. Michelle Arkin, Ph.D., of the University of California, San Francisco, focuses her research on developing small molecule modulators of allosterically regulated enzymes and protein complexes as potential drug leads. Neurodegenerative diseases such as Alzheimer’s and other “taopathies” are characterized by formation of intracellular tangles comprised of aggregated tau proteins. Previous studies have shown that the protein actyltransferase p300 acetylates tau at several sites, competing with ubiquitination and thereby inhibiting tau degradation. Dr. Arkin and colleagues developed a high-throughput screen using HTRF to identify p300 inhibitors, designing a suite of counter screens and secondary assays to validate hits. Based on previous findings that the protease caspase-6 clips tau at specific sites and that truncated tau forms are associated with disease progression, the investigators developed selective caspase-6 inhibitors. HTRF assays demonstrated, she said, that small molecule compounds inhibit caspase-6 mediated cleavage of tau in cell lysates, concluding that the combination of HTRF enzymatic and biophysical assay formats allow characterization of inhibitors of proteins that may be involved in tauopathy progression. Martha Kimos, biochemist at the Lieber Institute, noted that the discovery of novel catehechol-o methyltransferase (COMT) inhibitors for use in the treatment of Parkinson ’s disease has been limited due to lack of suitable assays for high-throughput screening. COMT inhibitors like entacapone and tolcapone prolong the action of levodopa by preventing its demethylation by COMT. Kimos and her colleagues developed an HTRF assay involving an enzymatic step that uses membrane-bound human COMT as an enzyme substrate and an assay step that measures s-adenosyl-L-homcysteine (SAH) as an enzymatic reaction product. To directly measure SAH release, an anti- SAH antibody labeled with terbium cryptate and a SAH-d2 tracer were used. The SAH released by the enzymatic reaction competes with the SAH-d2 labeled leading to a decrease of the HTRF signal. The assay, the researchers said, showed good potency for tolcapone, with a high degree of translation between data in fluorescence ratio and data in terms of SAH produced, and suitable for kinetic studies, including Km determination. At Pfizer USA, Richard Frisbee, a scientist in the hit discovery and lead profiling (HDLP) department, and colleagues have focused on the development of HTS whole blood assays using HTRF, particularly to monitor anti-inflammatory drug potency. They noted that traditional whole-blood formats such as ELISAs for detecting cytokines require multiple assay plate manipulations, including wash steps and incubation steps, have limited throughput, and are relatively time consuming. They reported that they had developed a sandwich immunoassay protocol that measures cytokine production in human whole blood in a 384-well format, describing key elements of the assay, including nanoliter spotting of test compounds, miniaturized blood/reagent transfer, and optimized assay incubations. Development of a relatively convenient assay to monitor compound potency in whole blood can facilitate they said, the prediction of compound doses required for therapeutic efficacy. 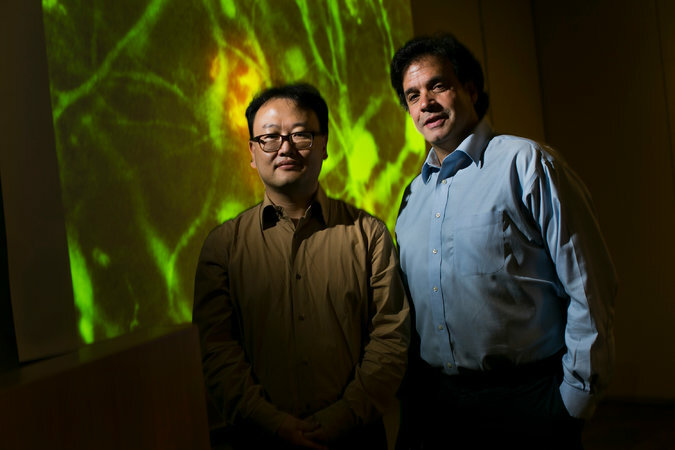 Inhibiting the enzyme γ-secretase, which converts amyloid precursor protein to β-amyloid , thus preventing its accumulation in the brain, has been a goal of drug developers. Most recently, Bristol-Myers Squibb elected to discontinue development of its inhibitor candidate avagacestat into Phase III trials after disappointing Phase II results. 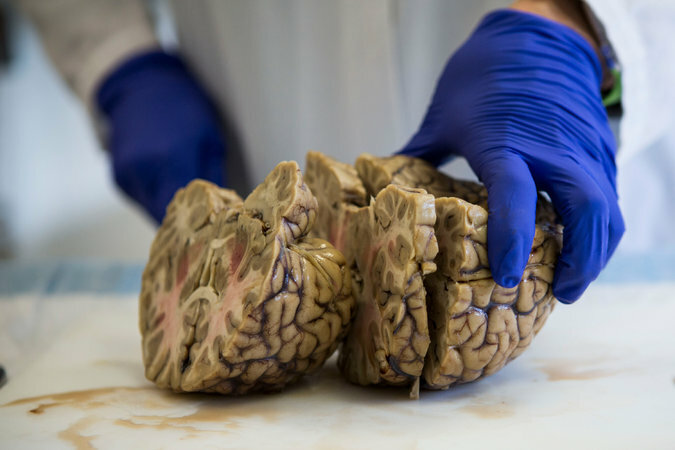 BMS remains in the hunt for drugs to treat Alzheimer’s disease. 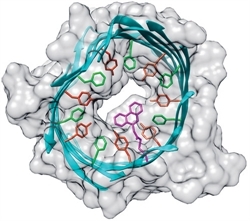 Despite clinical failures of its and other companies’ other gamma secretase inhibitors, researchers continue to search for next-generation compounds they believe may succeed. At BMS, Dave Harden, Ph.D., principal scientist and team leader, biochemical screening in the leads discovery and optimization group, has developed novel assays to identify molecules that inhibit secretase by measuring multiple amyloid beta species in cell supernatant. He and his team have capitalized on terbium cryptate’s properties as a donor fluorophore in HTRF, that has different photophysical properties compared to the donor fluor europium. These properties afford the opportunity to measure more than one interaction within a well due to the multiple emission spectra observed upon excitation. It can therefore serve as a donor fluorophore to green-emitting fluors because it has multiple emission peaks including one at 490 nm as well as the typically used 665 nm (red) emission. Dr. Harden and colleagues, in order to “enhance” their screening practices by expanding well information content, enabled two color multiplexed HTRF in multiple settings in large (>1 MM well) screening campaigns. This approach, they reported, successfully identified mechanistically distinct gamma secretase inhibitors by measuring multiple amyloid beta peptide species in cell supernatants. This, and several other examples, the presenters said, demonstrated the power of multiplexed HTRF in maximizing screening outcomes. Across the board, meeting presenters demonstrated the flexibility of HTRF assays and their adaptability to multiple research settings. The scientists pointed out that the assays yielded values consistent with other assay results using less versatile and convenient assays formats.